Most medical experts are firmly convinced about Shaken Baby Syndrome. But is the science related to it conclusive enough to convict beyond reasonable doubt when there is little other evidence pointing to guilt? The theory says brain damage and bleeds over the surface of the brain and in the back of the eyes must have been caused by violent shaking. Child-minder Keran Henderson's legal team have just filed an application for leave to appeal against her conviction for manslaughter. 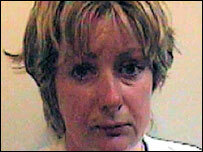 Mrs Henderson was looking after baby Maeve Sheppard in March 2005 when something went horribly wrong. She has since been convicted of violently shaking the 11-month-old toddler to death. "Oh God, this is horrible. Come on Maeve, darling, please.. She's absolutely comatose." 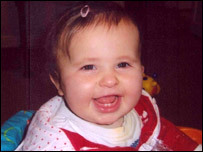 Two days later Maeve was dead and Keran is serving a three-year sentence for child killing. But her friends and family say she could never have done it. She denies ever harming the child. The case has brought heartbreak to two families. The Sheppards have lost a much-loved child. Mark Sheppard told the BBC's Panorama: "In 18 months time she goes home to a loving husband and two loving children - I will never have Maeve back." Iain Henderson, of Iver, Buckinghamshire, who resigned from the police after his wife was charged, is now bringing up his two sons while their mother is in prison. 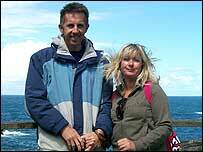 Most prosecution experts at the Henderson trial gave evidence to the effect that she must have done it. Home Office pathologist Dr Nat Cary told the jury: "There are features in this case that would suggest that there has been a great degree of force." Dr John Elston, an eye specialist, said: "I think it was most likely caused by shaking." Professor Terence Stephenson, who did not take part in the trial, is a paediatrician at the Queen's Medical Centre in Nottingham. He said: "What you're talking about is a group of findings which are bleeding over the surface of the brain, sometimes with bleeding at the back of the eye, sometimes with evidence of damage to the brain or brain swelling. "Sometimes those features are also accompanied by other injuries outside the head, fractures to the ribs or cigarette burns or scalds, whatever, but principally it's those three features." Professor Stephenson explained how he believes anyone can end up doing it: "In the flick of an instant they lose their temper. They've violently shaken and throw that infant, and then it's over and they bitterly regret what they did. "It wasn't predetermined malicious foul play, they just lost their temper. I don't think the fact that someone is a flawless character means it can't have happened." But what if the majority of experts are wrong? A minority of sceptical scientists fear that Shaken Baby Syndrome is wrong, mistaking symptoms found in innocent death with deliberate killing. Neuro-pathologist Dr Waney Squier told Panorama: "I think that the use of science in this way is very questionable and since then there has been no scientific evidence to support the view that shaking can cause the findings that are characteristically described in Shaken Baby Syndrome." Fresh research in the US questions some of the science behind Shaken Baby Syndrome. Biomechanics in the US at the Wayne State University in Detroit use crash-test dummies and real corpses - including dead infants - to help make people survive car crashes. They believe that impact is far more dangerous than shaking. They will publish their work later this year. Biomechanic Dr Chris Van Ee said: "Shaken baby syndrome as described as an adult shaking a child holding him by the torso with the head flopping resulting in bleeding of the brain and retinal haemorrhage is fundamentally flawed from a biomechanics perspective. It's not valid. There's nothing to support it." Dr Patrick Lantz, a pathologist in North Carolina, looked at the eyes of 1500 corpses which came through his morgue for more than two years from 2004 on, and says he found bleeds in the back of the eye in one in every six or seven cases. This finding, if correct, suggests that bleeds in the eye are much more common than previously thought. If Dr Lantz's research stands up to scrutiny, then bleeds in the eye - one whole pillar of the shaken baby syndrome triad - comes under question. Dr Lantz is due to publish his findings soon. Scientists who back the syndrome say that inflicted eye bleed injuries are more severe than found in the general population. If the science is wrong - and it's still a big "if" - Keran Henderson will have been falsely accused. Nothing, however, will bring back baby Maeve.